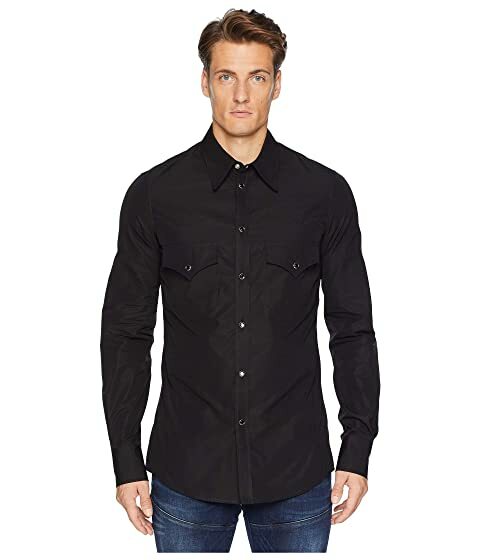 Simplicity meets eloquence in this DSQUARED2® Poplin Western Shirt. Dual chest pockets with fold-over flaps and snap button closure. We can't currently find any similar items for the Poplin Western Shirt by DSQUARED2. Sorry!